No comic this week. 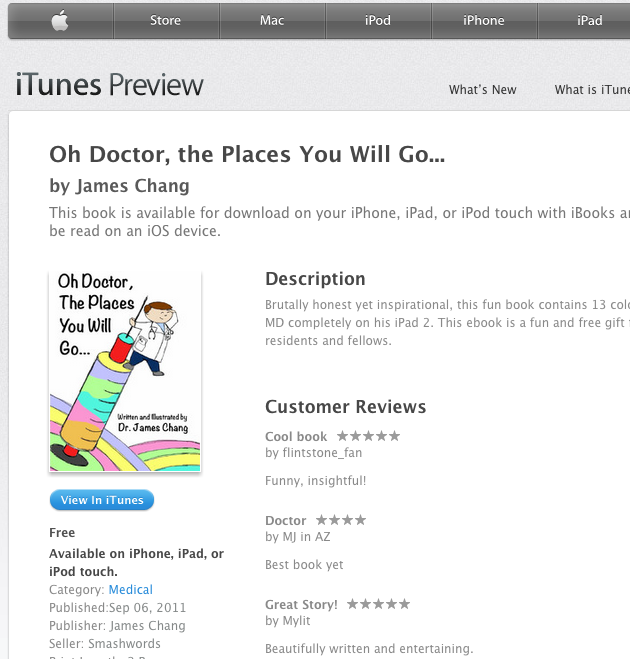 Just a shameless self-promotion of my picture book "Oh Doctor, The Places You Will Go..." which is now available on iTunes for free to celebrate my little brother's match into dermatology and graduation from medical school. I put together this picture book completely on my iPad and it is what gave me the idea to make PoorMD into a medical webcomic. This book is great for doctors in any stage of their training or career. I hope you enjoy.